Towards the end of March, members of the Ravenna-Bryant Community Association’s Land Use Committee and Wedgwood Community Council’s Land Use Committee met with Sam Brace of Brace Development, the developer of the “Green House” at 7321 35th Ave NE. The “Green House,” which is over a 100 years old, sits on the west side of 35th Ave NE across from the Safeway. In its time, the “Green House” was the biggest house in the area according to the Wedgwood in Seattle History blog. But now, the house is a bit out of place. Sam Brace is a native of Seattle who’s family has a long and fascinating history in Seattle. 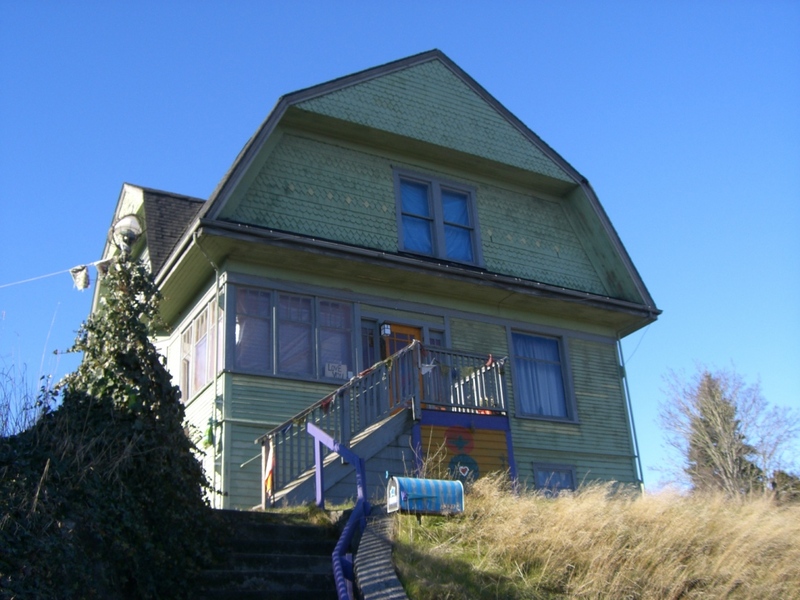 According to tax records, Sam Brace purchased the property in 2002 which then extended west to 34th Ave NE. Brace Development built a new home on the west side of the lot at 7322 34th Ave NE in 2003. The project drawings we reviewed, prepared by the project architects at Pb Elemental, will feature 2 live/work buildings along 35th with 2 duplexes (4 residences) behind (west) of the live/work units. A common driveway will separate the 2 live/work units with four parking spots for the 2 duplexes located between the live/work units and the duplexes. Should things go as planned, Mr. Brace hopes to break ground in July 2012.